Feather pillow: An aid to comfortable sleep. If you are willing to have a good and quality day, then it is vital that you must have good night’s sleep too. And for that you must have a comfortable pillow that supports your neck. A restful sleep is just like an investment that will surely pay you dividend each night. Preferably, pillows should be very soft, fluffy and light in weight to grant you a perfect and cosy sleep. All these qualities are found in Feather pillows. Feather pillows are probably the most comfortable and economical as compared to all other pillows and offer fantastic support to your body. 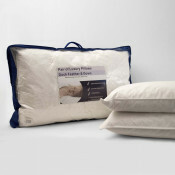 Durability and reliability is the eminent feature of these feather pillows. Feather pillows are branded for their softness. Apart from being comfortable, they grant you pleasant warmth too. Often, people who opt for feather pillows are among those who desire for light and soft pillows that make their sleep very soothing. There are generally two types of feather pillows available: the duck feather and the goose feather pillow. Duck feather are relatively cheaper than that of goose feather pillow. 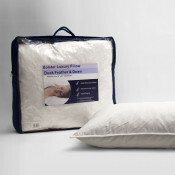 If you want something firm to lay your head on, then duck feather pillow goes perfectly well with your choice. 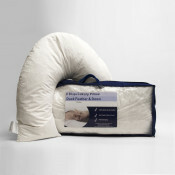 Feather pillows are excellent remedy for those who suffer from neck and shoulder pain. The speciality about this feather is without losing any firmness; they mould your body’s shape accordingly and offer you brilliant support. They aid in eradicating any pressure points in your neck and at the same time provide your head with tremendous support. They are considered as the best antidote for side and back sleepers. 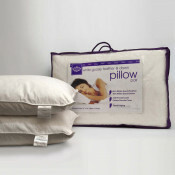 Luxurious feather pillows are squashy, mouldable and breathable too. If it’s the first time you are planning to buy these feather pillows then there are plenty of things you should consider. Firstly, make sure that you are not allergic to feathers. This is because people who are allergic to feathers may experience discomfort and can stimulate their allergies too. Secondly, look for three things in feather pillow before purchasing if you desire for splendid sleep - its filling, firmness and type of fabric used. Goose feather fillings are smaller as compared to duck feather filling and are relatively softer too. 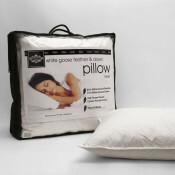 So, if you craved for softer pillow, then try buying the goose feather pillow. Another thing you should consider is pillow’s firmness, which is mainly based on the amount of pillow stuffed. Lastly, ensure the type of fabric used in pillow case. Prefer the fabric of higher thread count because more the thread count, superior and softer the fabric is. 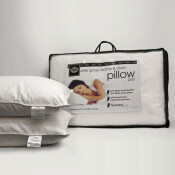 Comfortable pillow is practically as important as a right mattress in the hunt for finest sleep rejuvenation. Award your neck and back a welcome relief from daily stressors of life with comfy feather pillows. 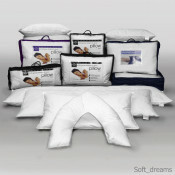 We offer the excellent and finest of feather pillows that would guarantee you a splendid and cosy sleep. 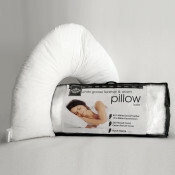 Feel free to browse at www.beddingmil.co.uk and get a feather pillow of your dream that suits you perfectly.